Stoke City goalkeeper Jack Butland is a £40m transfer target for Liverpool and Arsenal, according to The Sun on Sunday. Reds boss Jurgen Klopp is reportedly keen to bring the 24-year-old England international to Anfield and make him his no.1 for next season. The German has veered between Simon Mignolet and Loris Karius as his first-choice keeper over the past season-and-a-half. But Liverpool face competition from the Gunners. Arsene Wenger and his recruitment team are keen to line-up a replacement for Petr Cech, who is now aged 35 and has been under fire for mistakes in recent weeks. Butland has fought back from a serious ankle injury that kept him out for much of last season and has rediscovered his best form. He joined Stoke from Birmingham City in 2013. He has since clocked up 77 appearances for the Potters and has won six England caps. 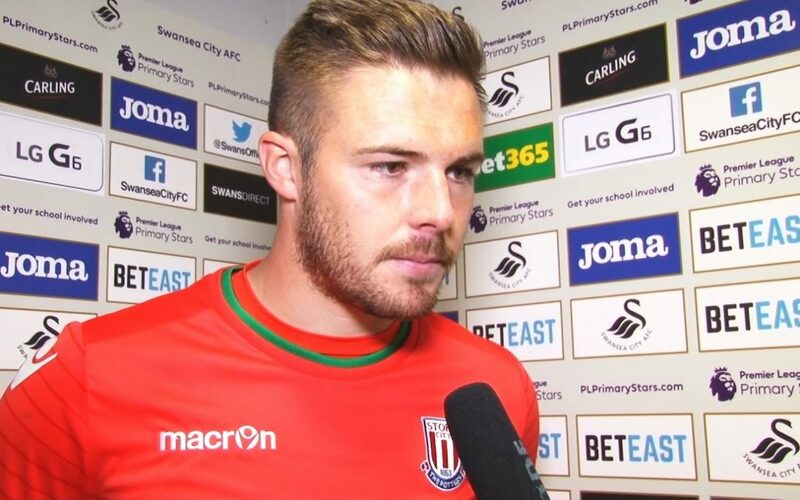 Butland is under contract at the bet365 Stadium until June 2021.